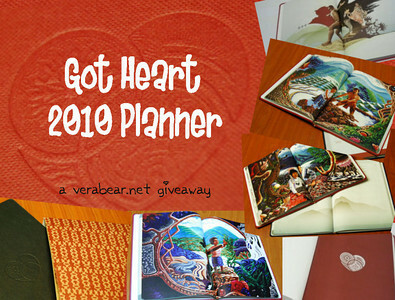 A long-time blogger friend who have long championed charities about children is giving away a Got Heart 2010 Planner. Head over to her blog then and leave comments to qualify for the electronic raffle! Contest will end on December 26. Winner can expect the planner to be shipped to him/her in the first week of January.